ASK US ABOUT OUR 0.00% APR 12-MONTH INTRODUCTORY RATE! LEARN MORE HERE. 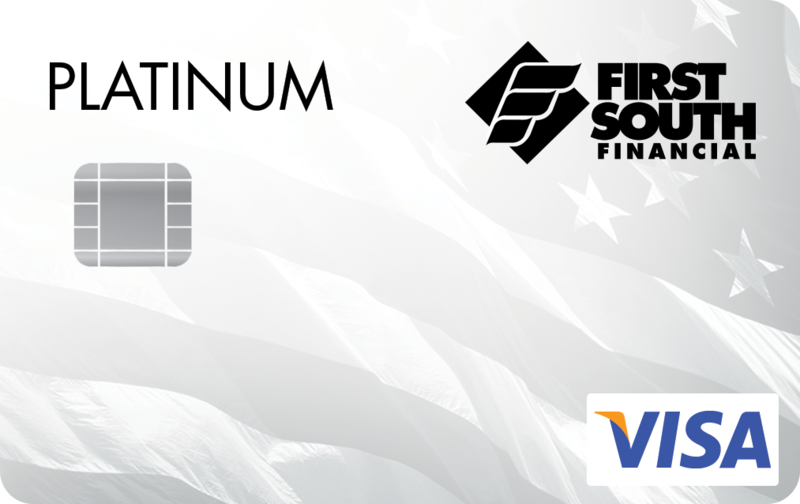 register your First South Financial Visa cards to receive text fraud alerts. We also offer many ways to make your credit card loan payments. Learn more about our loan payment options. *Your rate will be 10.50% APR to 18.00% APR based on your credit worthiness. You may access the disclosure here. This APR will vary with the market based on the Prime Rate. All credit card applications are subject to approval and not all applicants will qualify. Offers are subject to change or withdrawal without notice. Please see First South Financial for complete details. First South Financial is an equal opportunity lender.